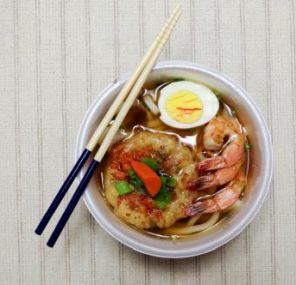 A curated selection from the Ramen King's Noodle Treasury! Unique flavors and styles from around the world. 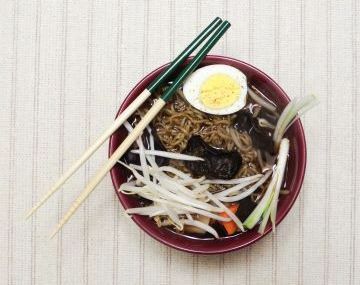 Each monthly delivery contains at least 4 premium exotic ramen products and serving suggestions. The base subscription is $20/month with free shipping. Save on each delivery by pre-paying for 3, 6, or 12 months. Featuring premium varieties from places like China, Japan, South Korea, Indonesia, Singapore, Thailand and Malaysia. 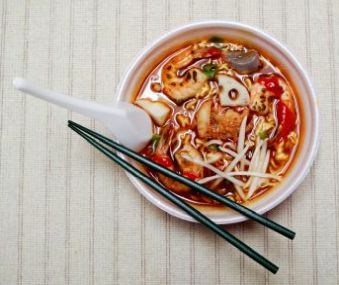 Varied styles, featuring broths like Tonkotsu, Spicy Seafood, Shio, Miso, Shoyu and various other exotic selections. We also offer premium noodles with more traditional flavors like beef and chicken too! The noodles also vary from buckwheat, premium air dried, udon and more! Check out cooked product examples in our landing image and below. Choose 4, 8 or 16 premium Noods products per month depending on your subscription package. Check out our Overstock Box located in the Shop. It includes leftover Noods from our previous boxes at a discounted rate. Select our 3,6 or 12 month prepay to save on your monthly subscriptions! Q: Do I need to cook your ramen with a stove top and pot? Yes and no! Our Exotic Noods Red package requires a stove top and pot with access to clean water, while our Exotic Noods Black package comes with convenient disposabowls, all you need is boiling water, and you can toss the bowl when you're done! Q: How many flavors do I get each month? A: We feature 4 to 8 flavors each month. Our Exotic Noods Red and Black 4 and 8 packs may feature up to 8 flavors, Each service offers 4 new exciting flavors every month for the respective premium noodle products. The Exotic Noods Green will come with 4 high quality bowls and 4 packaged noodle products, for a whopping 8 different flavors, twice as much as either or Red or Black options! Q: How do you find your products? A: We work directly with distributors and importers from around the world which gives us unique access to some of the most exotic and delicious noodle treats. Q: How many Noods will I be receiving? Q: When do I get my Noods? A: We start fulfilling on the 10th of each month and the cutoff for shipping is the 5th of each month. Be patient, the wait is worth it! Q: What about my allergies? A: The Ramen King is a benevolent monarch of men and will personally overseer the packaging of your product if you have allergies. Please email us at [email protected] to notify the team of any allergies you may have to food products and we'll exclude those products for you in our standard selection. Q: I want to buy a product featured in a previous box. How can I buy it separately? A: We ship domestically in the United States and we do have international shipping, but is limited to certain countries. If you don't know if your region qualifies you to order a box, just send us an email at [email protected] and we'll help figure it out! A: If you want to try us out without the hassle of remembering to cancel your subscription, You can check out our products in our shop that is conveniently located in the top right of our page next to the Login. Orders placed in the shops are ready to ship out as soon as we can hand assemble your order. Q: Can you provide me with an update on my order? A: Sure thing! Email us at [email protected] with your order number and we'll be happy to assist. Without your order number, we can only provide the estimated arrival date. A: We're sorry to see you go. Let us know how we could do better by sending us a quick email with your feedback as we base some of our decisions based on your valuable. We use this feedback to continuously improve our service for our subscribers. You could say we're subscriber-centric. You can conveniently cancel your subscription by logging into your account with the account you applied with during check out and you are able to make any changes to your subscription status there. Q: I forgot my password. How can I login? A: Navigate to our login page and click "forgot your password." This should begin the process of resetting your password. Q: I forgot my email address. How can I login? A: Your email login is the same email you used to checkout. Please check your inbox for the confirmation email. If you are unable to locate a confirmation email and have made purchases with us, we should be able to help you locate your information.